Potomac Pathways' First Step program is for adolescent young men (14-17) and emerging adults (18-23) who are struggling with substance abuse and co-occurring issues which may include depression, anxiety, social anxiety, conflict at home with parents, ADHD and learning differences. This level of care is for young people who have moderate issues in some or all of the following areas: substance abuse; low self-esteem or mood disorders (depression, anxiety, etc. ); ADHD and/or significant learning differences; and conflict with their parents/family. The majority of young people that take part in our programs have significant issues in all of these domains. The theory behind First Step IOP, now embraced by SAMHSA (the Substance Abuse & Mental Health Services Administration), is that young people need to be working on, and making progress with, all of these issues simultaneously, because of the intertwined nature of the problems. So, in other words, if you want to make progress with the substance abuse problem, you also have to be making progress with the depression, the low self-esteem, the school problems, and the problems that the teen is having at home. At Potomac Pathways, we recognize that young people need a non-confrontational and compassionate approach to substance abuse treatment in order to make progress with the life challenges they face. Comprehensive, Integrated Treatment Approach: First Step IOP services address major aspects of the adolescent’s life including substance abuse, learning differences, family relationships, co-occurring depression, anxiety and other mental health issues. Family Involvement in Treatment: Research shows that involving parents in the adolescent’s drug treatment produces better outcomes. First Step IOP includes a high level of family involvement. Developmentally Appropriate Program: Activities and materials reflect the developmental differences between adults and adolescents. Engaging and Retaining Teens in Treatment: A strong therapeutic alliance is required for engaging and retaining young people (Winters et al., 2009; Diamond et al., 2006). First Step IOP builds a climate of trust between the adolescent and the therapist, and between peers. Qualified Staff: Our staff members are trained in adolescent development, co-occurring mental disorders, substance abuse, and addiction. Gender and Cultural Competence: First Step IOP addresses the distinct needs of adolescent boys and girls as well as cultural differences among minorities. Continuing Care: First Step IOP includes relapse prevention, aftercare planning, referrals to community resources,and follow-up. Assessment and Treatment Matching: First Step IOP conducts comprehensive assessments that cover psychiatric, psychological, and medical problems, learning differences, family functioning, and other aspects of the adolescent’s life. Initial assessment with teenager and parents to determine the needs of the family and the teenager in treatment. The early recovery and relapse prevention group helps create a supportive community where teens come in contact with others who are exuberant about life in recovery. Students learn to listen deeply and to encourage one another to continue taking steps towards positive change and self-empowerment. Teens attend one major outdoor adventure therapy event per month with clinician on board. Outdoor events have included mountain biking, treetop adventure courses, rock climbing, equestrian therapy, kayaking, caving, and much more! 12-step youth meeting attendance is expected for most program participants during early recovery. There is an on-site 12-step speaker's meeting on the first Thursday of each month at Potomac Pathways. See calendar listing for details. Teen attends individual counseling to help increase motivation, support positive identity formation, identify addictive patterns and develop new, healthy strategies for living. Family counseling sessions are generally scheduled twice a month. Family counseling creates a space for deep listening, understanding and emotional healing—helping families to communicate honestly and openly without retreating into old negative patterns or "survival roles"
For teens in the First Step IOP (Intensive Outpatient Program), parents take part in the Parent Program, which meets twice a month (see calendar listing for dates and times). Parents learn more about the addiction cycle and impact of drugs and alcohol on the adolescent and the family. The program focuses on recognizing how parents can identify codependent (or enabling) behavior in the family, explore interactions and communication patterns, and practice new ways to engage the family in healthy patterns. Random drug testing on-site included, and is billed to insurance. Also, specialized testing is available for drugs of abuse that don't show up on most drug screens including LSD, Mushrooms, Ritalin, Robotussin, and synthetic cannabinoids /Spice. 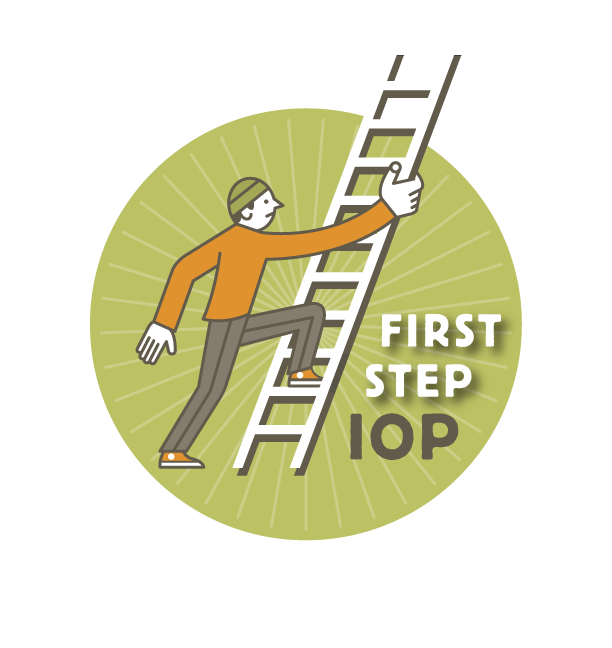 The First Step IOP (Intensive Outpatient Program) is a 6-month program consisting of four months of primary treatment (which includes the evidence-based Seven Challenges adolescent IOP curriculum), followed by two months in Potomac Pathways Aftercare. For the first four months, the groups meet three times per week. For the final two months, the groups meet twice per week. The First Step groups (first four months) meet three evenings per week, Mondays, Wednesdays, and Fridays, from 4:00PM - 6:30PM. During the final two months (Aftercare), groups meet on Tuesday and Thursday evenings. Weekend adventure therapy events are generally held on Saturdays once each month, and are listed on the First Step calendar on the website. Individual and family therapy are held twice per month each, alternating weeks.